Black carbon, seen as soot, is the unwanted byproduct of burning diesel, coal, firewood, or crop residue. It is categorised as a ‘short-lived’ climate pollutant but its negative impacts are both fast-acting and extensive—black carbon increases the melting of ice and glaciers, harms public health, reduces food security and disrupts weather patterns. With the reduction of carbon dioxide taking a priority under the Kyoto Protocol, mitigating short-lived climate pollutants, such as black carbon, have taken a back seat. However, recent studies show that black carbon may be responsible for close to 20% of the planet’s warming, making it the second highest contributor to climate change after carbon dioxide. This provides us with a real opportunity to make an immediate impact on climate change. Woodfuel is a vital source of energy for an estimated two and a half billion people in developing countries. A recent study from Climate Focus highlights that woodfuel emissions are equivalent to around a quarter of gross emissions from deforestation and that these can be mitigated through a combination of supply and demand-side interventions. 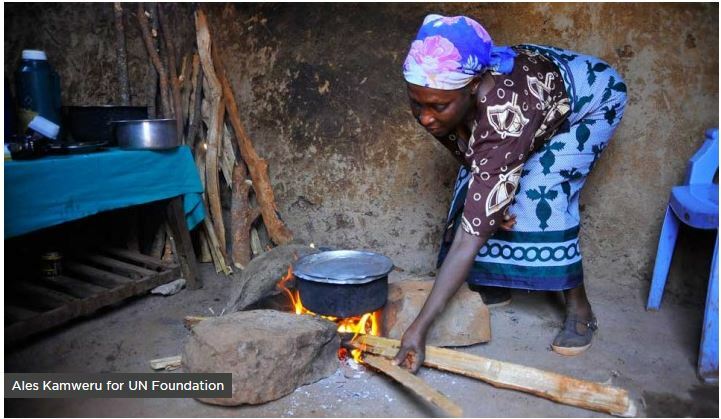 Global Alliance for Clean Cookstoves (Alliance). Saving lives, improve livelihoods, empowering women, and protecting the environment by creating a thriving global market for clean and efficient household cooking solutions.